Diocesan Offices for the Church of Ireland. This building, which is now an estate agents, is commonly called Clarence Place Hall for the short street that runs behind it (Clarence Place Mews). 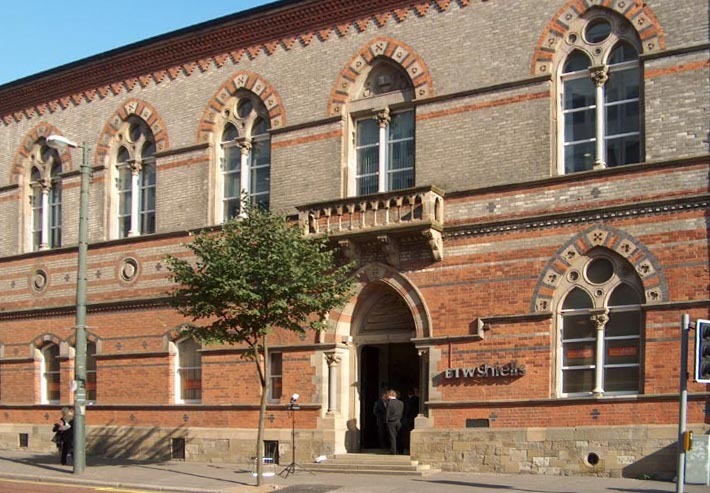 It was designed by Lanyon, Lynn & Lanyon, although the similarity to Chester Town Hall suggests that Lynn might have taken the lead. Patton, Marcus. Central Belfast, A Historical Gazeteer. Belfast: Ulster Architectural Heritage Society, 1993. ISBN 0900457449.